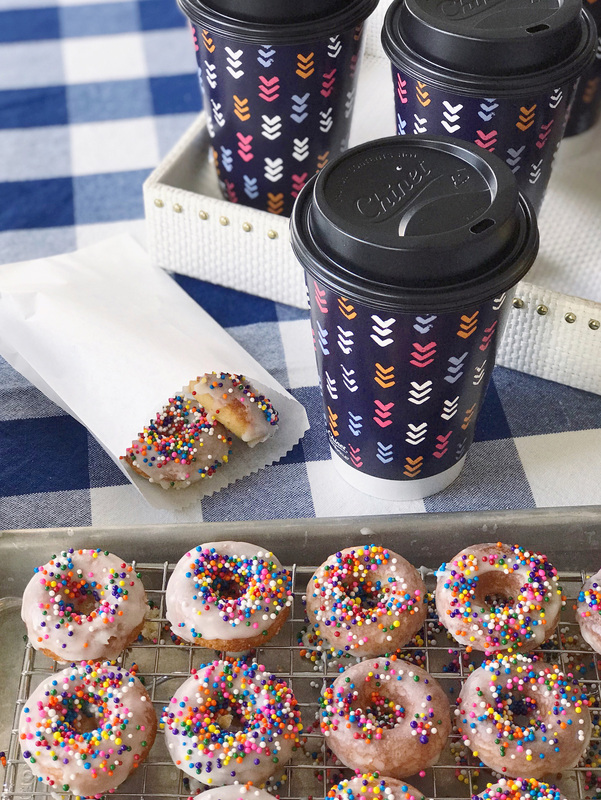 Is there any better way to start your morning than with coffee and donuts? I don’t think so! Which is why I love making homemade mini-donuts, and serving them with a fresh pot of coffee when we have friends and family stay the weekend. 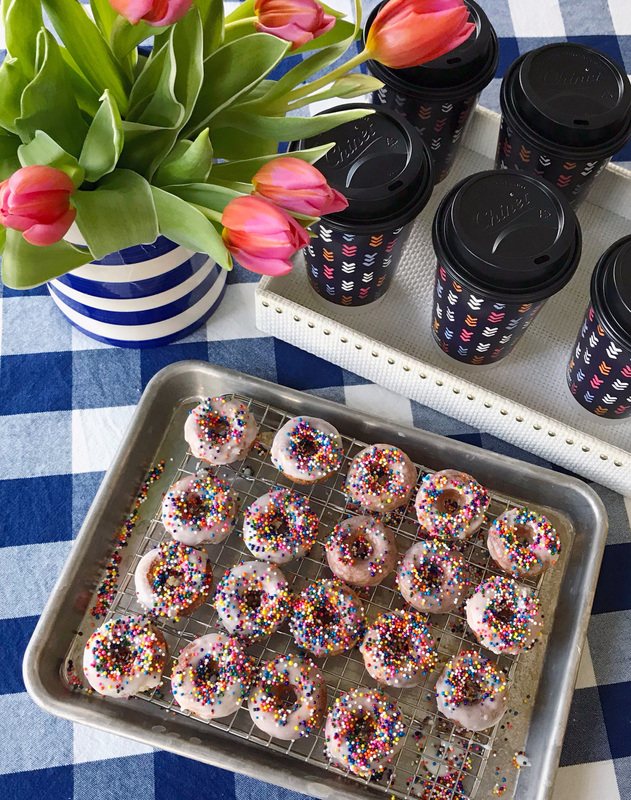 I like to set up a little self-serve breakfast station with some homemade donuts and coffee, and it works out that everyone can grab a bite and a cup of coffee as they wake up and come downstairs. For my family members that might be late sleepers (you know who you are), I also like to make sure this grab and go style breakfast can actually be easily transported on the go. 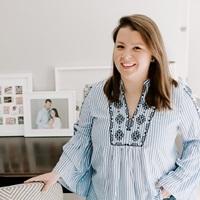 I’m sharing one of my favorite mini donut recipes over on the Chinet blog today: vanilla-flavored donuts, sweetened with a bit of honey, and topped with a buttery sweet glaze and sprinkles. 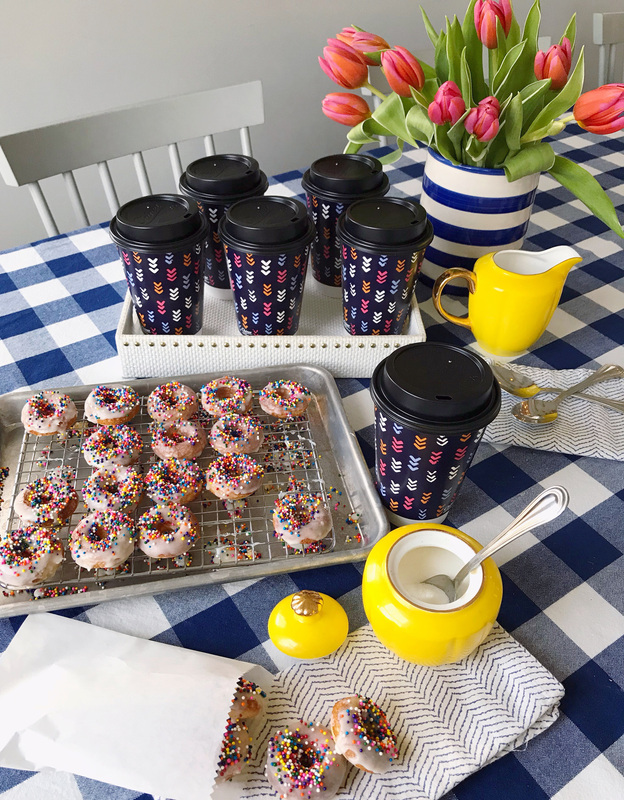 They’re easy to make ahead, and cook in just a few minutes so everyone can enjoy a warm, fresh donut to go with their coffee (served in Chinet Comfort Cup insulated hot cups – with their cute, stylish design!). 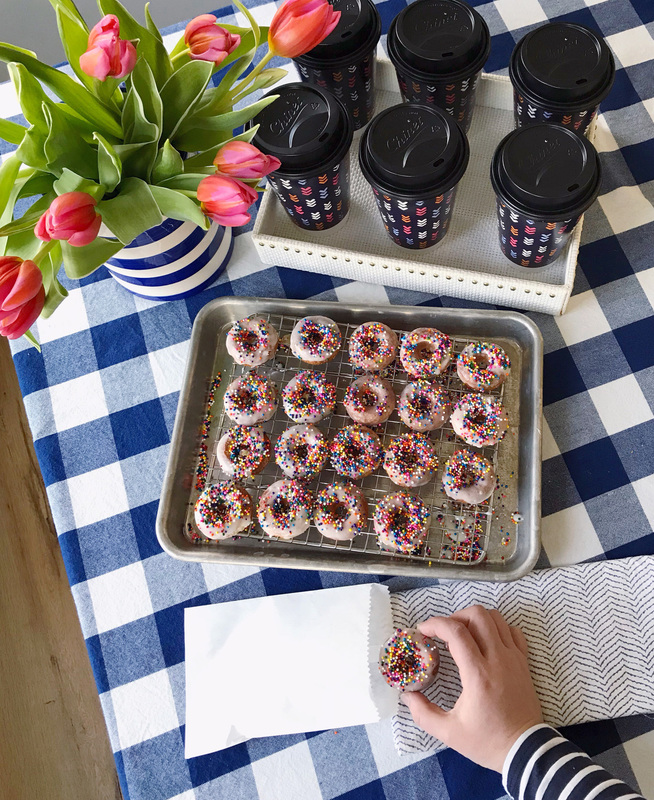 Head over to their blog to read the full recipe, and more about how I set up this little to-go coffee and donut station — a simple gesture to send off our houseguests with treats to make their journey home as enjoyable as their stay! The Download – 03.02.18 Zucchini Waffles.